Tempura refers to the Japanese technique of dipping food (usually vegetables or seafood) in a light batter and deep-frying it. 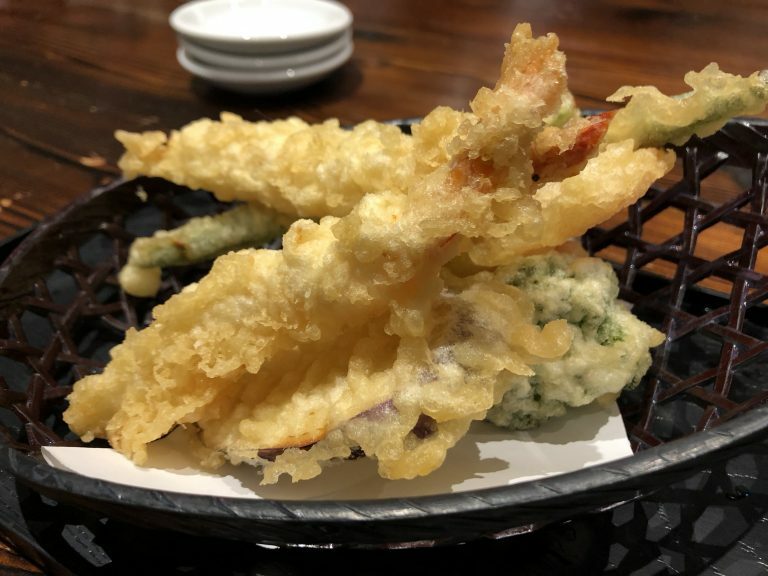 There are lots of other ways to deep-fry stuff (with or without batter), but tempura has a distinctive texture and flavor. I don’t know if I’ve ever had tempura anywhere besides a Japanese restaurant, but it’s easy enough to make yourself if you’re so inclined.